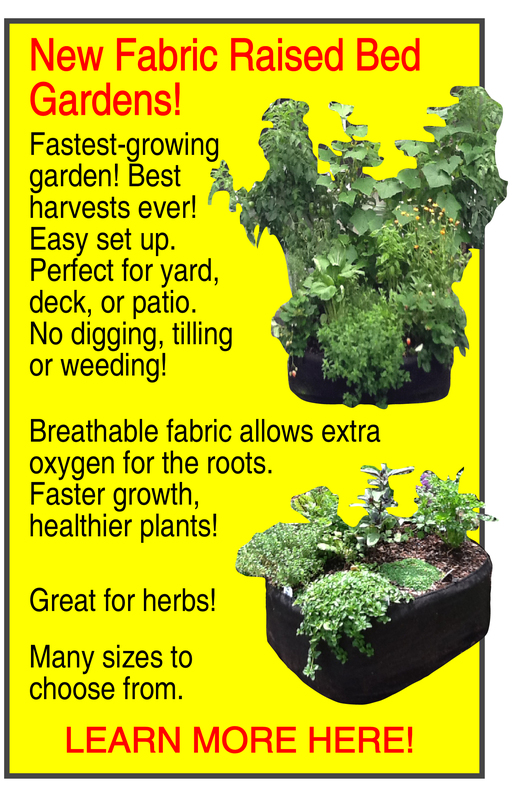 Vegetable Gardening Can be Easy! Lots of families would like to start a vegetable garden in their back yards, but they never even try because they think it will be a lot of hard work. Frankly, they’re right. Digging, tilling and weeding take a lot of time that today’s busy families don’t have. There’s a new approach to family gardening that offers a solution. The idea is to build smaller, raised bed gardens on top of your soil and fill them with potting mix. This cuts down on a lot of work, now and for the future. First, you avoid all of the effort scraping off the sod and digging into the clay soil. Second, you eliminate 99% of your weeds! Normally, to start a garden, you till compost and fertilizer directly into the native soil. But in that soil are tens of thousands of dormant weed seeds, just waiting to be exposed to the light. Once they do, they’ll start to sprout and you’ll end up with a weed patch instead of a vegetable garden. By building a raised bed on top of the soil you end up with no weeds. Of course the wind will blow and the birds will poop, but you’ll have one weed per square foot instead of a hundred, and the loose soil means they’re a snap to pull out. 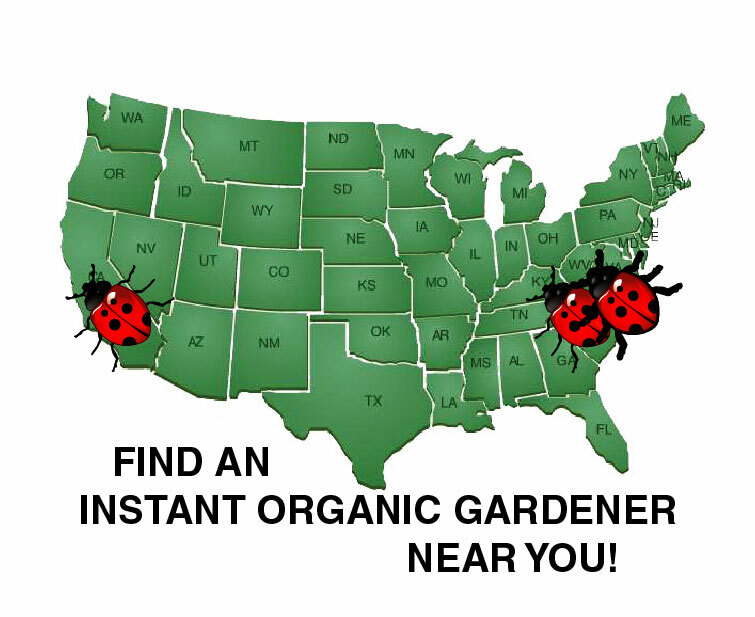 So how can you have an organic garden the easy way? Won’t you have to spray for insects and diseases? Organic gardeners know that healthy plants resist bugs and diseases naturally, and the key to healthy plants is healthy soil. Synthetic fertilizers are like an electric shock to a plant, causing it to grow quickly whether it wants to or not. The growth that results is spindly and weak and is the first things that pests and diseases attack. By using weedless potting mix as your soil and incorporating organic fertilizers, you’ll have perfect garden soil from the very start and your plants will grow at their own pace, something other gardeners take years to accomplish. Small gardens are good because in our area, everyone has a big house and a small yard, and don’t have the room for even a small 20 x 20 garden. Or they have a big house and a big yard, but lots of trees and very little space with enough sunlight. But how do you make these small gardens worthwhile? The key is to focus on crops that are productive in a small space and are expensive in the stores. Everyone loves fresh corn, but a 3’ x 8’ bed may grow 20 ears of corn, and at 50¢ each, that’s a $10 crop for the whole summer. Instead, choose plants that don’t take up a lot of room, but offer an ongoing harvest. Avoid plants like head lettuce that grow up, are harvested and leave a hole in your garden layout. Use vertical space, too. 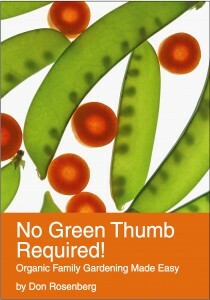 Try climbing plants like peas, green beans and cucumbers instead of bush varieties. You’ll get more harvest in less room. So try gardening the easy way – think small and think smart. A raised bed is the way to go!